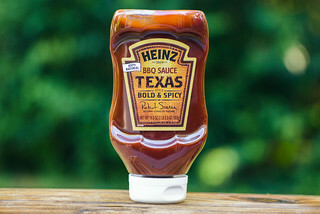 A strong apricot flavor gives this barbecue sauce a unique taste that, along with its quality ingredients, sets it apart from other sweet tomato barbecue sauces. Joe Traeger is the creator of the pellet grill, which came into existence by way of his family's heating business. As the oil crisis hit in the 1970's, alternative heating sources were experimented with, and the Traegers were among those who tried out pellets—made from compressed sawdust—as a heat source for furnaces. While that didn't seem the take off, Joe realized that pellets could be a great way to power grills and smokers and created his first electric pellet grill in 1985. After patenting the invention in 1986, his grills hit the market two years later and the Traeger name became synonymous with pellet grills. His patent expired in 2006, and the competition that invited brought in a flood of new pellet grills. 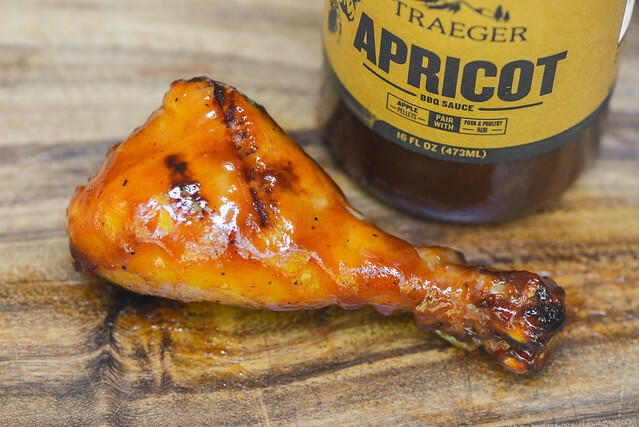 Traeger has remained a constant though in the grilling landscape for over 20 years, and with new leadership under Jeremy Andrus, the brand is currently expanding its offerings and presence in the market. True to its name, a heavy wave of apricot is the first thing to strike in the aroma here. That initial fruitiness comes with a notable savory undertone. Upon some additional whiffs, a less dominant tomato mixes in along with molasses, a mild vinegar tang, and faint smokiness. Overall, it's a rather simple aroma that is all fruity sweet with no heat. This maroon sauce has a glossy sheen and very smooth consistancy. It's semi-transparent, which makes it easy to see a lot of small black and white spice specs throughout. The sauce's medium-thin thickness and syrupy texture has it falling off a suspended spoon first in a large drip, followed by a quick and steady pour that ends with two or three quick drips and leaves a thin coating left clinging to the silverware. The initial flavor is so sweet and fruity, you could call it jam-like. 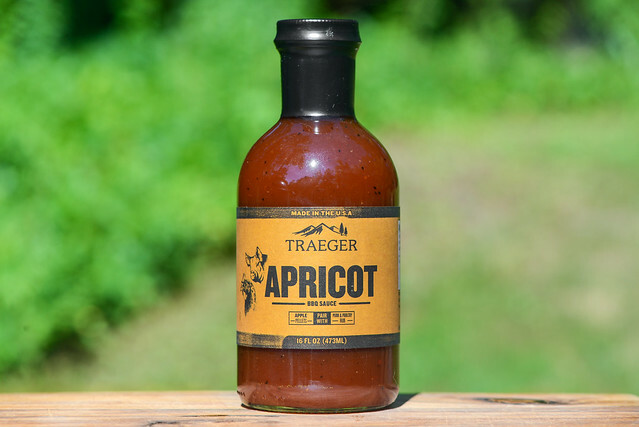 The sugary apricot is in the forefront, and it's only after the sauce settles on the tongue for a few seconds that the tomato ketchup component mixes in. Next, a mild tang adds a little contrast to the sugar, which gains a molasses depth and a savoriness by way of soy sauce. 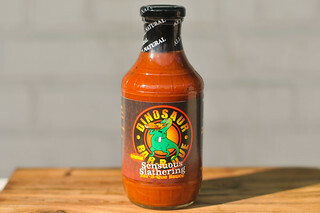 As the sauce leaves the mouth, a slight smokiness works its way in along with a very, very mild heat, which adds a little more character to the otherwise sweet fruit aftertaste. The sauce coated the chicken in a thin, even layer that baked down great over indirect heat. When moved to direct heat, there very little burn off and good caramelization without any burning. The flavor remained very sweet, but not sickeningly so. The taste of the apricot was diminished a bit, but still very present. The vinegar was also dialed back, and what little heat that there was out of the jar was no where to be found. 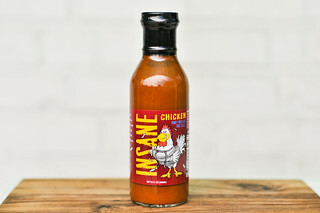 Readers of this blog know I'm a hot barbecue sauce fan and a sweet sauce really needs to wow for me take notice. I felt Traeger Apricot got part of the way there, but didn't cross the finish line. The apricot certainly lent a uniqueness, but it was the savoriness from soy sauce and a light smokiness that blended in seamlessly that really worked for me. It was a flavor that complimented the chicken well, but also tasted slightly flat for a barbecue sauce. It's worth mentioning that the ingredients tasted of high quality, and that factored into my overall appreciation of the sauce. 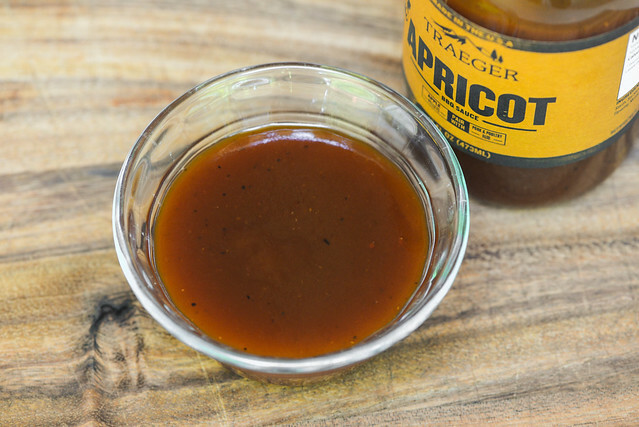 I think if you've got a sweet tooth, you'll really enjoy this sauce both on and off the grill, especially on lighter meats like chicken, pork, and seafood.